The northern region of Brazil, where LifeNets subsidized a well and an agricultural project is currently undergoing a major drought never before experienced. The drought is so prolonged and far-reaching that the Rio Branco which feeds into the Amazon river is extremely low and now has large sand banks in the middle. The electricity supply into the nearby town of Boa Vista is being affected due to the lack of water at the hydro-electric power plant. These facts show the wisdom of the LifeNets well built in Maloca de Moscou to help the local community. This well provides the critically needed water for the adjacent agricultural farming project. 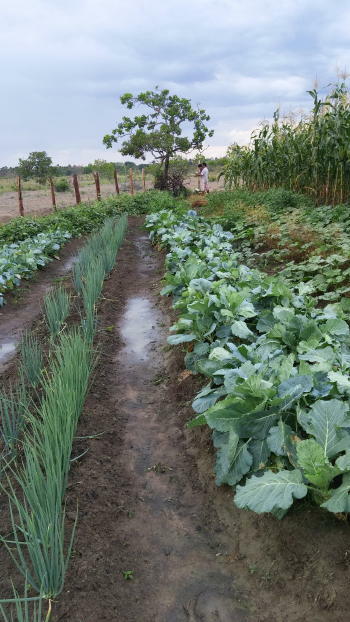 Besides cultivating for their own food, individual families have already sold produce at the local market and are benefitting financially from the fruit of their labors. 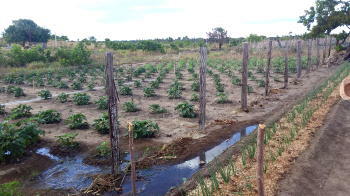 They are now more committed than ever to the production of fresh vegetables and fruit from this agricultural project. Friends of other Christian fellowships nearby are also getting involved for the benefit of their families. 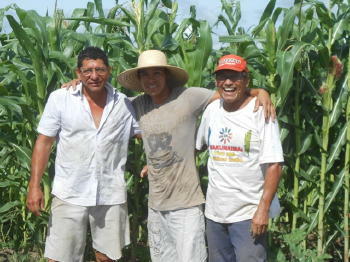 The local people are very grateful to God for the help that LifeNets has provided.